Welcome to Mega Posts for Visual Composer. 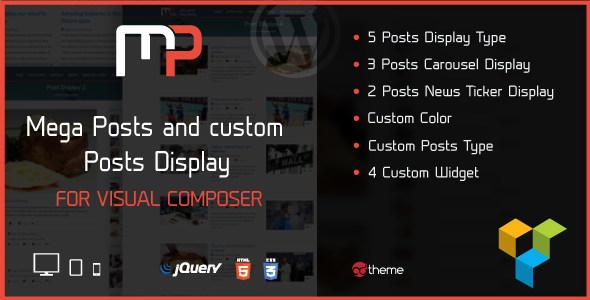 With this awesome plugin for Visual Composer you can create a posts layout in few step. You can choose beetween 5 posts display, 3 carousel type and 2 news ticker type.